Ever since I bought a MacBook I’ve wished very hard that Safari had a lozenge button. I would _love_ to be able to hide/show all the toolbars at the press of a single button. I agree about the principle, though. And I wonder — does Cocoa or Xcode automatically put the lozenge in when one adds an NSToolbar? Hmm. I dislike the inconsistency as well, but for me the lozenge is very valuable. Can there be any toolbar more deserving of hiding than NetNewsWire, with it’s one useful item, Search? I need to hide that thing 99% of the time. Firefox isn’t made by Apple. Wow, nice job summing that all up. 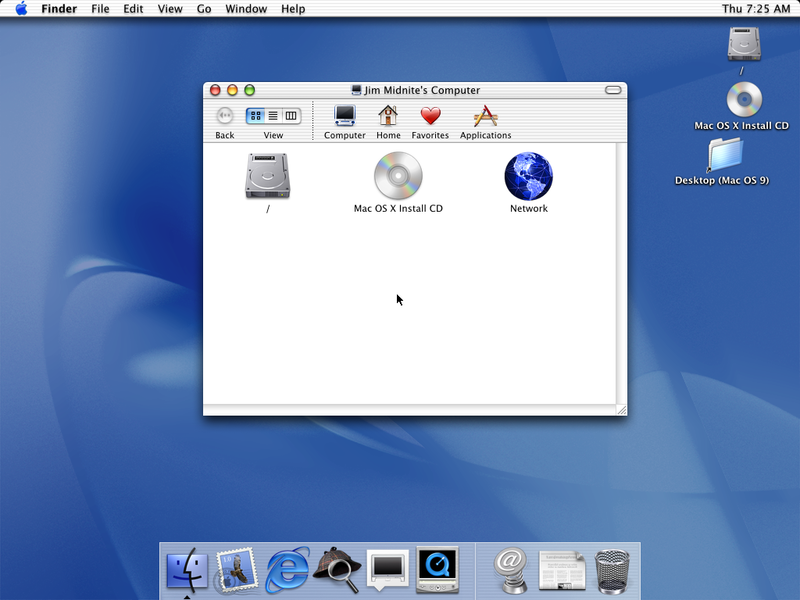 The inconsistencies of OSX have been bugging me since I switched from OS9, and I think there’s no excuse for a company like Apple, priding itself on aesthetics and attention to detail, to have such an unrefined UI design. It’s almost as if we’re still in the beta stage for OSX, with all the graphics to be cleaned up before release. 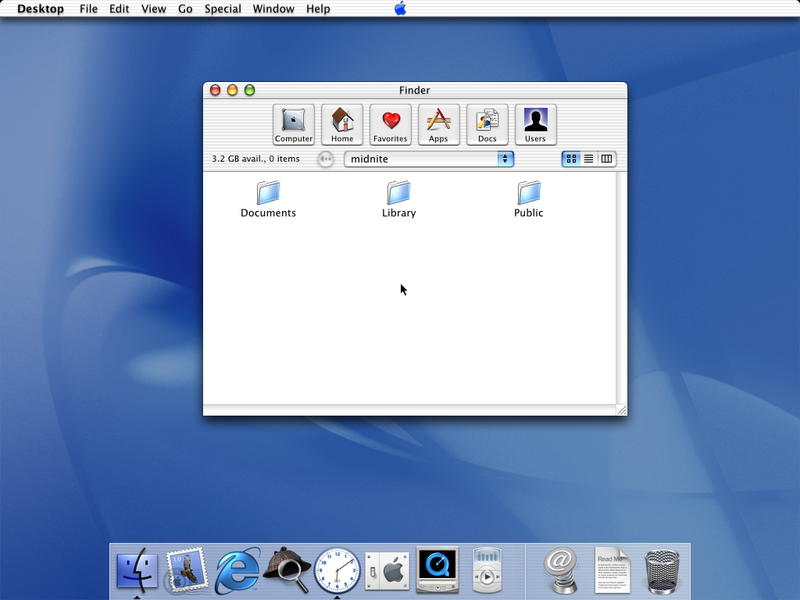 I have a hunch that we may all be surprised by a brand new unified OSX theme when Leopard comes out (and not before then), quite distinctive from the current one, possibly in a dark grey or black color. Then again, this could just be wishful thinking. While your rant has some salient points, I can’t help but mention that Firefox should really have no place in it. Not only is Firefox not even an Apple product, it doesn’t even use an OS X native method for displaying interface elements. Have you looked at Camino? That would have been a better Mozilla app to compare against. It just felt like you were comparing apples to oranges (please, forgive the pun), that’s all. Garro: I see where you’re coming from – the lozenge is useful in the apps that use it properly. However, I personally just can’t get away from the feeling that something in the title bar should be in every title bar; either all or nothing. I think OS X is actually the only current major OS (or desktop manager) that doesn’t observe this rule as standard – but correct me if I’m wrong! Corey and Matt: Fair enough. I know Firefox isn’t designed by Apple (and it was the only non-Apple program that I featured), but I just couldn’t help but include it, as I think that Firefox and the Finder are the two greatest offenders in terms of “lozenge” use. The rant was mostly directed at Apple, but also at the state of toolbars in OS X in general… Camino is brilliant and does indeed use a standard NSToolbar implementation. Todd: I personally just “get by” with Safari’s RSS support (shocking, I know! ), but NetNewsWire’s toolbar sounds a little redundant to me… Perhaps the search box should be placed somewhere in the main window? angle: Thanks very much! I must say that Pierre Igot’s blog makes for a very comprehensive read on some of Apple’s current UI issues if you’re interested in that kind of thing! 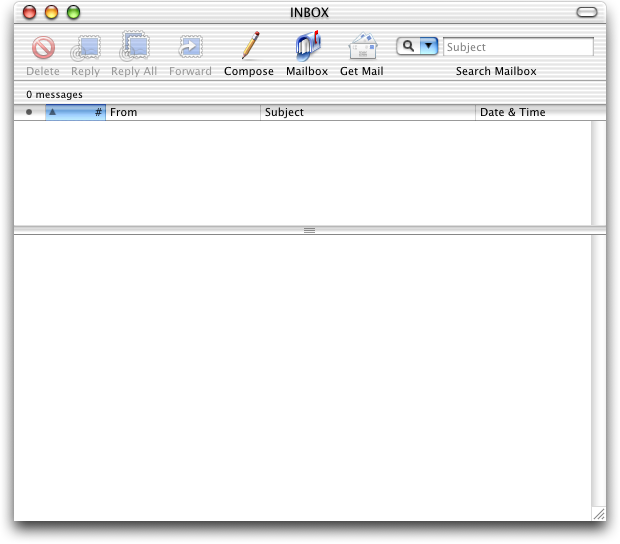 And I would also like to think that at least some kind of UI consolidation is on the way in Leopard. 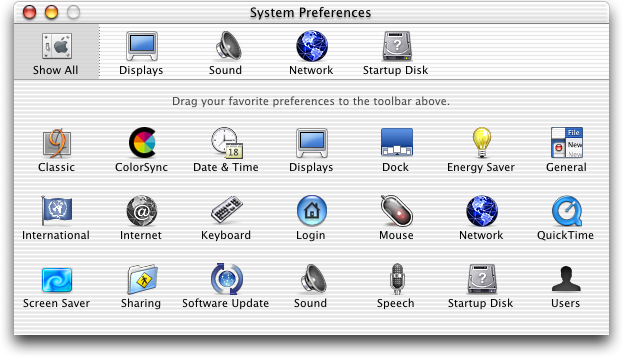 I suspect the reason the pill-shaped button (a lozenge is like a diamond) was useful early on is that when OS X came out, the typical Mac had a much smaller screen than nowadays. Hiding the toolbar saves quite a bit of space when your desktop is only 600 pixels high, and it’s a feature you’d want quick access to. That’s probably why they haven’t bothered in newer apps like Safari and iTunes. I use the lozenge *all the time*, and I really miss it in Safari (where I have to use the keyboard to accomplish the same thing). I like not only being able to expand my work area (or viewing area), but there’s also a certain Zen-like concentration to having less chrome sitting around. Who needs WriteRoom when you have a lozenge? 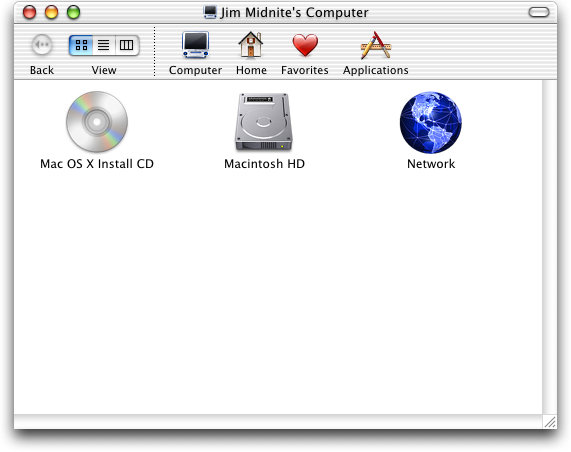 Paul D, the problem with your theory is that iTunes predates Mac OS X — version 1.0 was available only for OS 9. The iTunes chrome was heavy then, but Apple didn’t trim it down until 5.0 in 2005, well after small screens had ceased to be a problem. garoo’s and Paul Ridley’s comments bring to mind the (animated!) 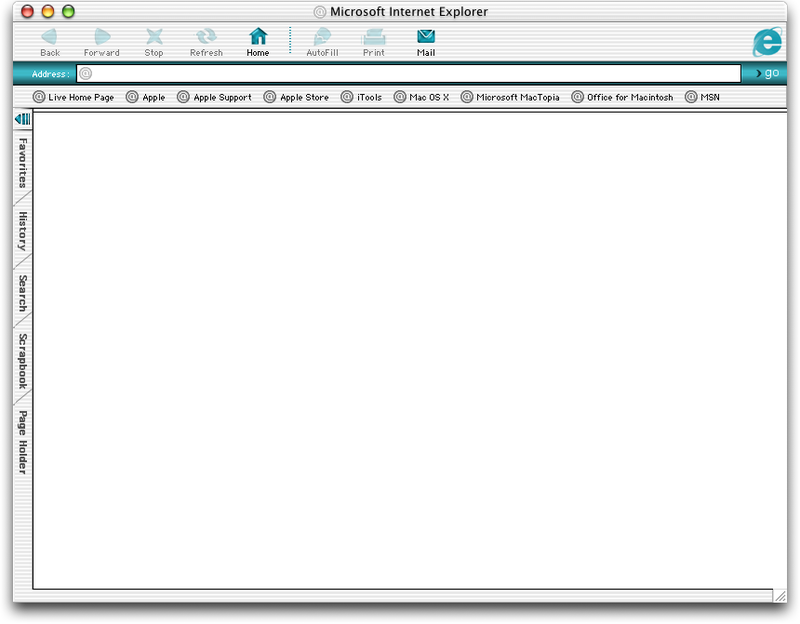 “Collapse Toolbars” command in Internet Explorer 5 for Mac. Pertaining to the command-click of forward/back and home buttons in safari: I really appreciate being able open a new tab with those buttons. I thought this was a really good idea, and praised apple for a full ten seconds when I tried it and it worked. Why doesn’t Apple find people like you, Rich, to consult about matters of consistency and UI and the like? It seems a shame that you write about this and care about this and is seems as though Apple does not care hardly as much. Oh well. 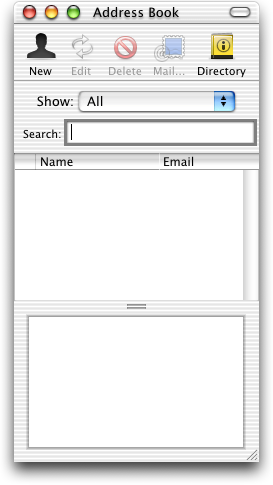 This may seem ridiculous when you think of that button in the finder as a “hide the tool bar” button, but it’s functionality was always described in presentations as the “go back to the OS 9 way of doing things” button. It’s sole responsibility was to provide an answer to those users who said they preferred the window behavior of OS 9. So while still a bit odd, it’s at least understandable that the window would change from a full aqua or brushed metal, to what is essentially a lickable OS 9 window. The fact that the button DOES operate as a “hide the toolbar” in other apps is, I think, the more egregious flaw because it creates confusion about the purpose of the button. I’d almost forgotten or stopped noticing how different things are, until I remembered I’m running UNO and Mail Stamps etc. It’s not perfect, but it is better. You actually didn’t mention the toolbar “feature” that annoys me the most. In most applications, hitting the little green “Zoom” (resize) button resizes the window to fit the available screen space, and in some apps it resizes the window to fit the content within it. The developers of iTunes had an interesting idea to change the action behind the green button completely. Hitting that button puts iTunes into a miniature mode… that looks completely different. Granted, this mini-mode looks great and I think it should continue to be a feature, but not at the cost of removing another, very widely used feature! I mean the entire app is a series of lists, resizing the window to fit the content at the click of a button would be a GREAT feature, too bad they decided to remove it. I don’t think Firefox should be included here. While it’s supposed to fit in (for the most part) with the rest of OS X, it’s intentionally designed to be cross-platform and easy to port to other systems, so it can’t really get to specialized to OS X. That’s what Camino is for. 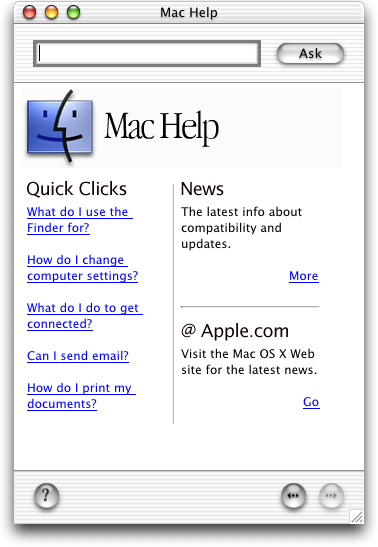 Also, I’ve been thinking…Maybe the fact that iTunes predates OS X actually explains why it lacks the lozenge button–there was no such thing in OS 9, and they never bothered to add one. For other things like Safari and iLife, I agree with Paul D’s theory, though if this is the case, they should have removed the pill button from the other apps as well.